Millions of visitors explore the breathtaking natural formations, unique wildlife and winding highways of Custer State Park every year. 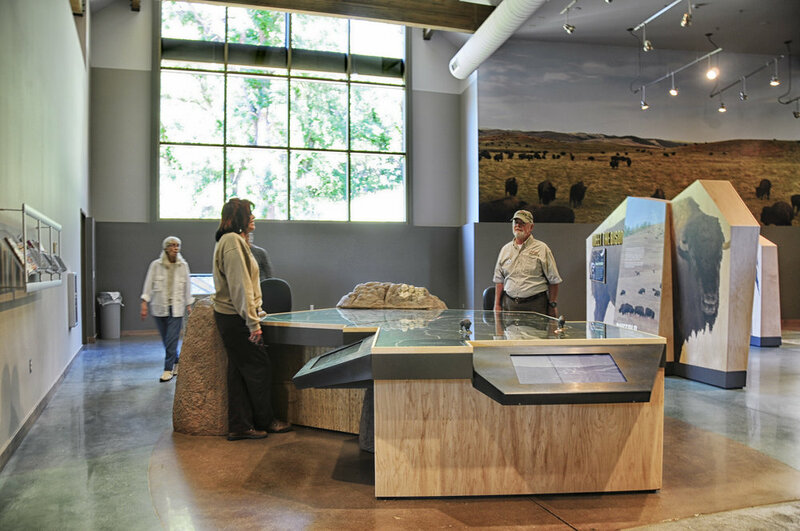 In 2013, SD GF&P, together with the Governor, decided to create a Visitor Center that would act as a gateway to the discovery of Custer State Park. Completed in 2016, ARC International’s design greets visitors with an exterior that captures and reflects the site’s natural surroundings. Large Black Hills Pine beams cut from the Park’s forests and stone that embodies the Needle’s granite outcroppings seamlessly welcome visitors into the interior environment. The textures and palette of blue, green and brown hues mimic those of the Park’s lakes and forests. Once inside, informational displays matched with interactive technology help visitors orient themselves with the Park’s layout, discover where bison herds were last spotted and learn about the spectrum of activities offered in the Park. Its world-class theater, featuring a 50-foot screen that wraps around up to 100 visitors, showcases a film with colossal images and heart-stopping scenes, transporting its audience on a thrilling cinematic adventure through the park. 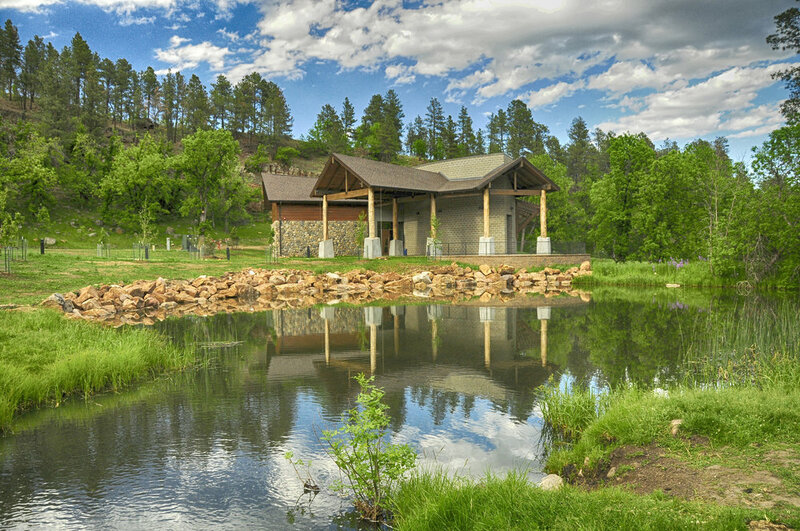 This center goes beyond instilling an appreciation of the Park’s historic roots and providing information about where to paddle kayaks and set up camp—the Visitor Center is the beginning of each visitor’s personal Custer State Park experience.